We are a locally owned full service grocery store. We pride ourselves on great customer service. We are here to serve you. If you need anything please ask one of our team members, and we will take care of you. We have many departments with the highest quality products. What is COST + 10% and how does it work? At Piggly Wiggly Food For Less, we provide you with the highest quality products for your family everyday, guaranteed. Whether it’s fresh produce, high quality meats, or the name brands you love, we do it for less! How do we do this? At Piggly Wiggly Food For Less we sell at our cost plus 10% added at the register on every item in the store (cost includes freight, fee and associated expenses). Huge manufacturer discounts that other supermarkets receive are not passed on to you in lower prices. They get a deal from the manufacturer, put the item on sale for a day or a week and then go back up to a high price on the remaining inventory. At Food For Less there are no high prices. We always pass one hundred percent of the deal to you on all of the promotional inventory we receive from manufacturers. Simply put, you pay what we pay plus ten percent added at the register. There are no gimmicks, no tricks, and no high prices. It’s just a sure way to save you money everyday on everything your family needs. Like the old saying goes, “seeing is believing.” Come see the huge savings that await you on each and ever trip you make to Piggly Wiggly Food For Less. It’s like paying yourself every time you shop. So come on by and save with Piggly Wiggly Food For Less today! Piggly Wiggly®, America’s first true self-service grocery store, was founded in Memphis, Tenn. in 1916 by Clarence Saunders. In grocery stores of that time, shoppers presented their orders to clerks who gathered the goods from the store shelves. Saunders, a flamboyant and innovative man, noticed that this method resulted in wasted time and expense, so he came up with an unheard-of solution that would revolutionize the entire grocery industry: he developed a way for shoppers to serve themselves. Piggly Wiggly Corporation continued to prosper as franchiser for the hundreds of independently owned grocery stores allowed to operate under the Piggly Wiggly name and during the next several decades, functioned successfully under various owners. Saunders’ reason for choosing the intriguing name Piggly Wiggly ® remains a mystery; he was curiously reluctant to explain its origin. One story is that he saw from a train window several little pigs struggling to get under a fence, and the rhyming name occurred to him then. Someone once asked him why he had chosen such an unusual name for his organization, and Saunders’ reply was, “So people will ask that very question.” He wanted and found a name that would be talked about and remembered. Piggly Wiggly’s introduction of self-service grocery shopping truly revolutionized the grocery industry. In fact, many of the conveniences and services that American shoppers now enjoy were introduced first by Piggly Wiggly®. After Saunders’ disassociation with Piggly Wiggly®, he opened a chain of stores which operated under the name “Clarence Saunders, Sole Owner of My Name Stores,” and although it was successful, the Depression forced Saunders to close the chain. Then, in 1937, Saunders designed and constructed a prototype of an automated store, which he called the “Keedoozle” (for “Key Does All”). Once again, Saunders had captured the country’s attention with his latest venture; although, mechanical failures eventually closed the store. Until the time of his death in October, 1953, Saunders was developing plans for another automatic store system called the “Foodelectric.” But the store, which was to be located two blocks from the first Piggly Wiggly store, never opened. Clarence Saunders never fulfilled his dream of opening a truly automated store. Sadly, his death came just as the full impact of his better idea for grocery merchandising was becoming apparent. Saunders’ creative genius was decades ahead of his time. Piggly Wiggly, LLC’s corporate headquarters are in Keene, N.H. 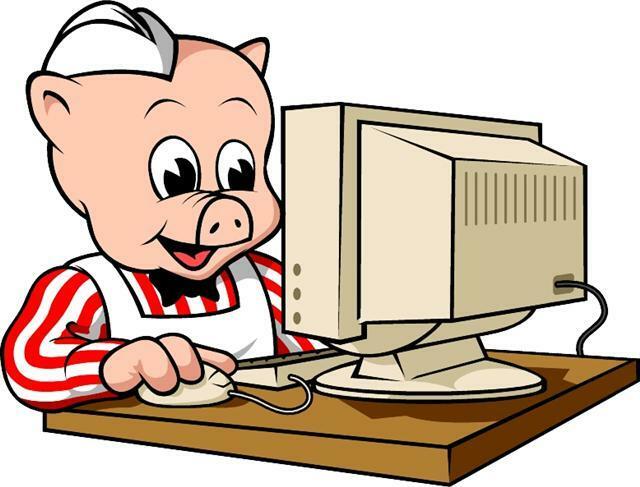 It issues Piggly Wiggly franchises to qualified independent grocery retailers. The company also provides the retailers with services such as support, marketing programs and a line of promotional items. Piggly Wiggly, LLC is an affiliate of C&S Wholesale Grocers, Inc., ranked as the 10th largest privately held company in the nation by Forbes magazine in 2010. For more than 90 years, C&S has provided first-class warehousing and distribution services to its customers. From more than 50 warehouse facilities throughout the United States, C&S serves some of the largest supermarket chains in the nation. Their corporate offices are located in Keene, N.H.